Nearly 47 employees at One97 Communications Ltd, which owns digital wallet Paytm, have sold their shares worth Rs 100 crore ($15.3 million) to internal and external buyers, a report in a financial daily stated citing people aware of the development. The deal has increased the shareholding of Paytm’s founders and investors in the firm. Chinese Internet giant Alibaba Group, its payments arm Ant Financial, Paytm’s early investor SAIF Partners, and founder Vijay Shekhar Sharma now collectively own about 95% stake in the company, The Economic Times report added. “The company has over 500 employees who hold close to 4% shares in the parent company,” the financial daily quoted a company representative as saying. An email query sent to Paytm did not elicit any response till the time of filing of this report. Earlier this month, it was reported that Paytm E-Commerce Pvt. Ltd, the online marketplace arm of One97 Communications Ltd, will raise $200 million (Rs 1,334 crore) from Alibaba. While the Chinese e-commerce major will infuse $177 million (Rs 1,182 crore) in the company, venture capital firm SAIF Partners will invest the remaining. The deal is expected to value Paytm E-Commerce at close to $1 billion. One97 Communications was valued at $4.8 billion when it raised $60 million (Rs 403 crore then) from Taiwanese chipmaker MediaTek Inc’s Mountain Capital fund in August 2016. Two weeks ago, Anil Ambani-controlled Reliance Capital Ltd sold its nearly 1% stake in Paytm for Rs 275 crore ($41 million) to Alibaba Group. Reliance Capital had put in Rs 10 crore for its investment in the wallet firm. In January, several media reports suggested that early investor and former IDFC Securities analyst Nikhil Vora—who holds 0.35%, or 1.6 lakh shares, in Paytm—was in talks with two industrialists to sell his stake in the digital wallet company. Hero Corporate Services chairman Sunil Munjal and Adventz Group chairman Saroj Poddar were negotiating with Vora to buy Rs 50 crore stake at Rs 8,000 per share. 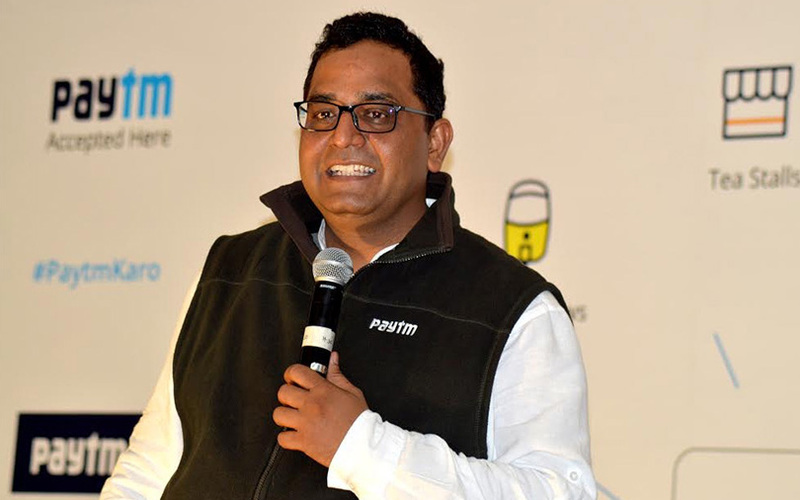 In December 2016, Paytm’s founder and chief executive Vijay Shekhar Sharma sold 1% of his holding in One97 Communications to raise nearly $48.1 million (Rs 325 crore).